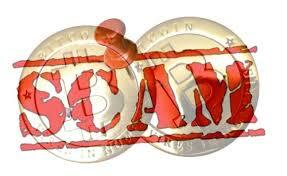 The Bitcoin Foundation has recently revealed that the complaints about cryptocurrency-related frauds are increasing. The latest scam involves at least two fake sites that are actually spoofed versions of the foundation’s webpage. 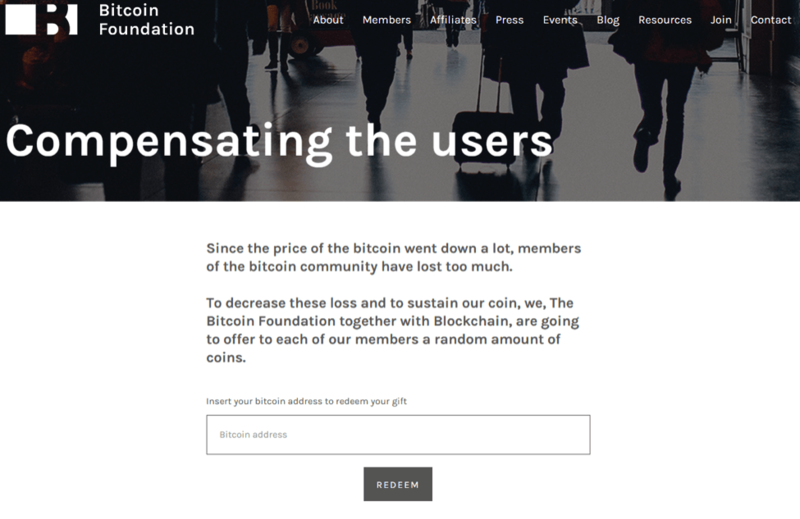 “Over the past few days we have noticed a significant uptick in complaints directed at our help desk about a fraud being perpetrated upon innocent Bitcoin users”, the Bitcoin Foundation published on its official blog. The Bitcoin Foundation’s website is being cloned and spoofed at web addresses and domains that have absolutely nothing to do with the Bitcoin Foundation. The offending websites we know about at this time include bitcompensation.com and bitsecuretransfer.com. Neither of these domains have anything to do with the Bitcoin Foundation. The organization reminds the users to be aware of such scams, which have been using the volatile price of Bitcoin to capture the victims’ attention. “If you are contacted and directed to a page that looks like the screenshot below, please close your browser as you are about to be scammed out of your Bitcoins”. The foundation has identified two addresses, bitcompensation.com and bitsecuretransfer.com, as the source of the scam. ZDNet.com reports that both domains were apparently registered by the same owner in mid-November. Both websites feature a campaign that promises to compensate the Bitcoiners that have lost part of their crypto-savings due to the price plunge during the second half of 2014. Once the victims open the page, the campaign asks for their Bitcoin address in order to activate their gift, a “random amount of coins”. “Since the price of the Bitcoin went down a lot, members of the Bitcoin community have lost too much. To decrease this loss and to sustain our coin, we, The Bitcoin Foundation together with Blockchain, are going to offer to each of our members a random amount of coins”, the fake online page promises. According to the Bitcoin Foundation, the victims are then forwarded to a fake BTC wallet where they are urged to give up information that will allow the scammers to steal their cryptocurrency. “From what we can tell, once a Bitcoin address is entered, the user is forwarded to a fake Bitcoin wallet phishing site for them to ‘claim’ their Bitcoins. If the user logs into that fake Bitcoin wallet phishing site using their login information, then the site will be enabled to steal their wallet username or login, password and Bitcoins”, a spokesperson for the foundation told ZDNet. The Bitcoin Foundation is now working to remove these websites from the internet. The organization is also looking for additional online scams, so let them know if you come across a potential fraud by sending an email to [email protected] with the subject line ‘SCAM SITE’.